RIDDLES-designed ‘5MT’ 4-6-0 No. 73082 Camelot has been confirmed as one of the guest locomotives for the West Somerset Railway’s Autumn Steam Gala on October 5-8. The ‘Standard 5’ is owned by the 73082 Camelot Locomotive Society and usually resides at the Bluebell Railway. It has not yet visited another railway since returning to traffic from overhaul in October 2015. It will be the third member of the class to operate on the ‘Wizzer’ in the preservation era, following in the wake of Mid-Hants-based Nos. 73096 and Caprotti-fitted No. 73129. Also in action at the event will be Collett ‘Manor’ No. 7820 Dinmore Manor. 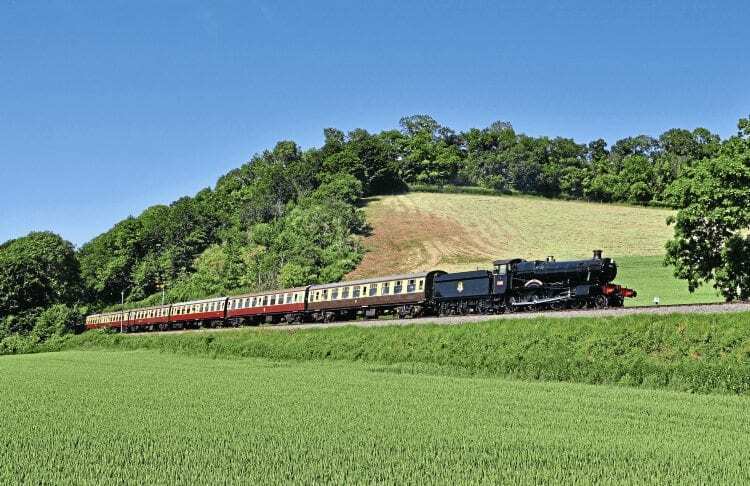 The 4-6-0 will be coming to the end of a summer residency at the WSR, having arrived from the Gloucestershire-Warwickshire Railway on June 7.